Hi I'm John, I qualified as a Government Approved Driving Instructor (ADI), after a 23 year Teaching career and serving as a School Governor. I became a driving instructor because I wanted the excitement and challenge of Teaching learner drivers. As a keen motorcyclist and cyclist, I have always been passionate about road safety. Choosing the LD System will give you more actual driving time during lessons as explanations by the side of the road are unnecessary. Using the Driving Skills Workbook and the Driving Skills DVD, will enable you to learn from the comfort of your own home and will ultimately save You money in unnecessary lessons. 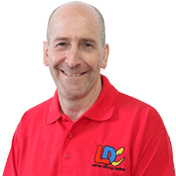 I chose to work with LDC as I believe that the LD System of learning provides the highest standard of training. As everybody is different, the system allows for flexibility so I can assess and tailor all my training to suit your individual needs, from the complete novice to refresher courses for more experienced drivers. Lessons will be conducted with a calm and relaxed approach. 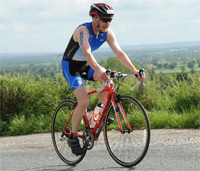 I have many interests mainly to do with sport, at the moment I am training for Triathlons. I also especially enjoy taking my children to the Cinema. Please Contact me to discuss your individual training needs. Well I hope this gives you a brief idea about me. I would be really pleased to hear from you so click here to "Contact me".